Happy day before Thanksgiving! Thanksgiving is my favorite holiday because it gives us time to spend with family and reflect on the many things that we have to be thankful for. 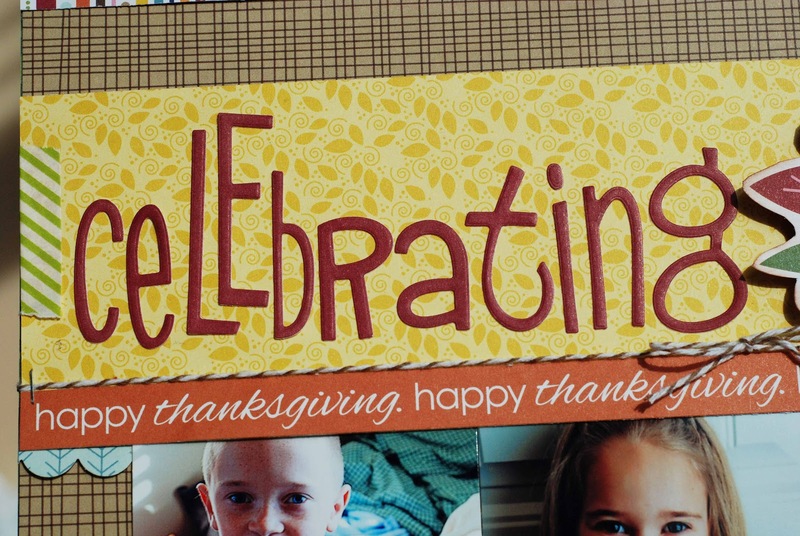 I've spent lots of time reading what others are Thankful for on Facebook and their blogs. I haven't spent a lot of time writing about what I'm thankful for but I do always have it on my mind. I'll have my thankful post up tomorrow. Today, I have a layout to share with you using Bella Blvd's Thankful line. I know I've said it before but I *really* do love this line. It has all my favorite colors and so many versitle patterns. 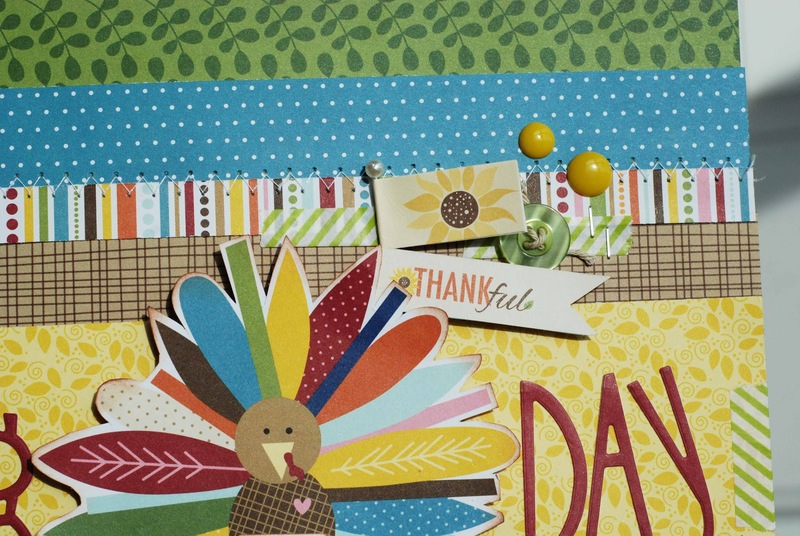 Today my layout is Thanksgiving themed. I did a layout about a Thanksgiving project I did with my kids last year. 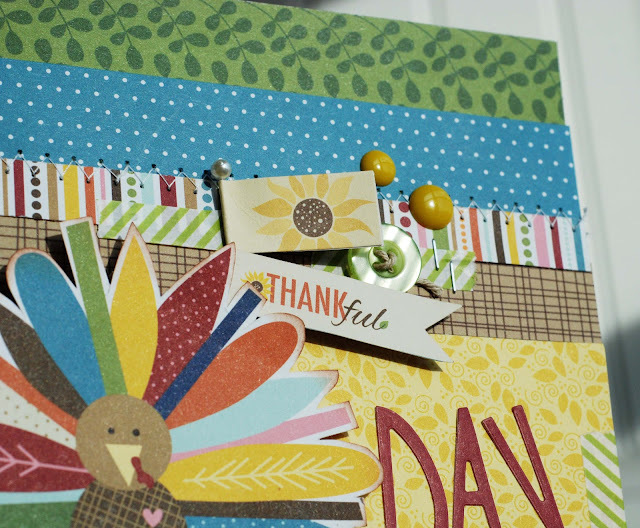 I used the turkey from the Cute Cuts sheet for part of my title. This cluster of embellishments has so many layers of goodies, stickers, washi tape, buttons, stick pin flags, staples, and a couple of enamel dots from MME. 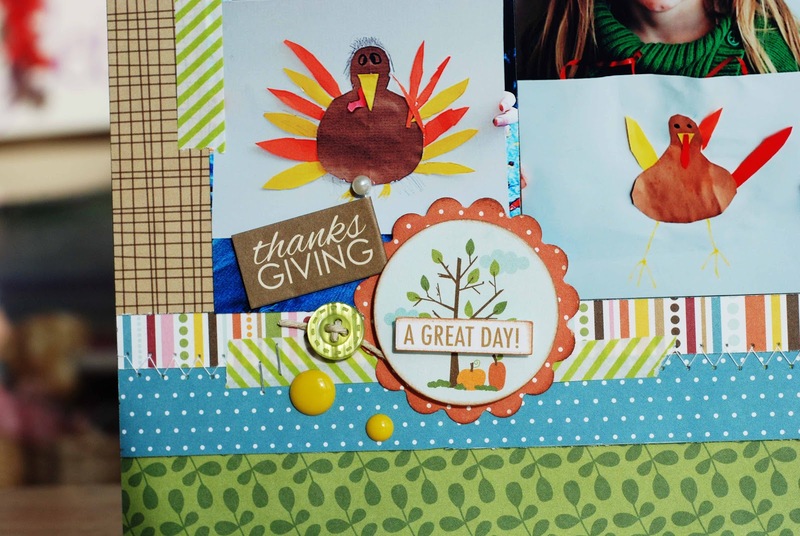 And here's the finished product, this is a layout that goes along with the theme "this is why I scrapbook" my kids have already looked at this layout numerous times and I'm sure they will many times to come. I love it when they come across a layout and start giggiling and say, "I remember when..."